It was so much fun watching you this Halloween. I loved seeing you at school during your party. You really enjoyed wearing your costume all day and your teachers thought it was funny that you picked your own costume. 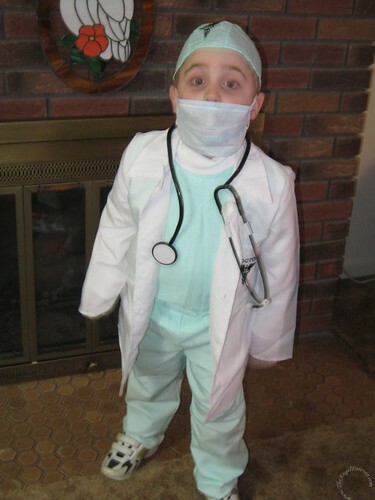 This year you really understood the fun of trick-or-treating. Thank you so much for being such a fabulous big brother and telling everyone that your little brother, who was tagging along and collecting leaves in his pumpkin, was coming as well. I love you so much and am so glad that we had a special day together with Nana and Papa. My little penguin from last year has grown up so much. 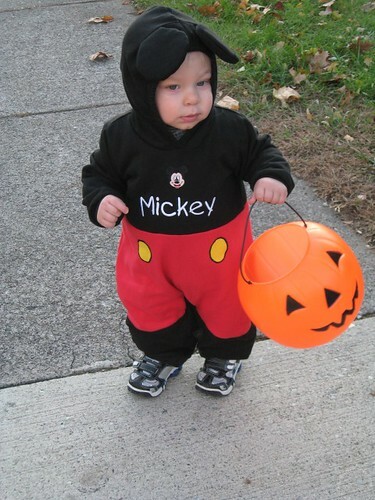 You were such a cute liitle Mickey Mouse. Everyone in the kindergarten loved seeing you and you loved visiting them. You were not too sure about trick-or-treating at first. You really thought the pumpkin was for collecting leaves. Thanks to your big brother you soon realized there was more to it. By the end of the time out you were saying "Tri Tret" and "Than U" at most of the houses along with waving and chanting "bye-bye" to everyone. Thank goodness you still do not completely realize what it was you had in your pumpkin and did not ask for candy when we went back to Nana and Papa. PS – More photos coming soon! Oh they are just precious! I love the pics! They are absolutely adorable! Really B. I love it! They’re both too cute. I love their costumes! They look so cute. I hope everyone had a fun Halloween. OMG – the boys look absolutely adorable!! Glad they had a fun halloween!